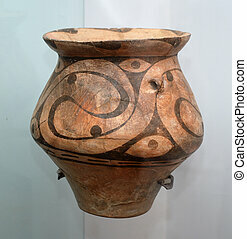 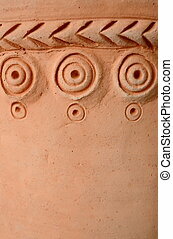 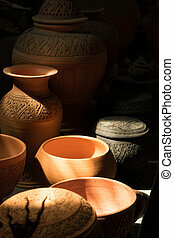 Clay jug detail. 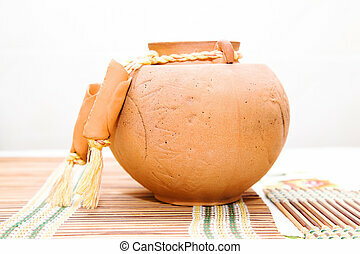 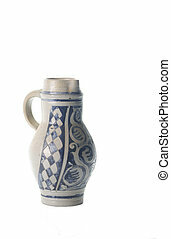 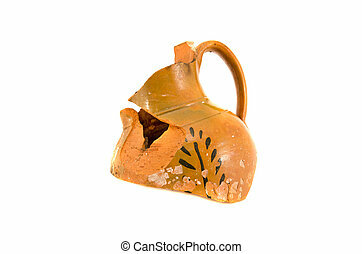 Detail view of clay water jug showing handle and opening at top. 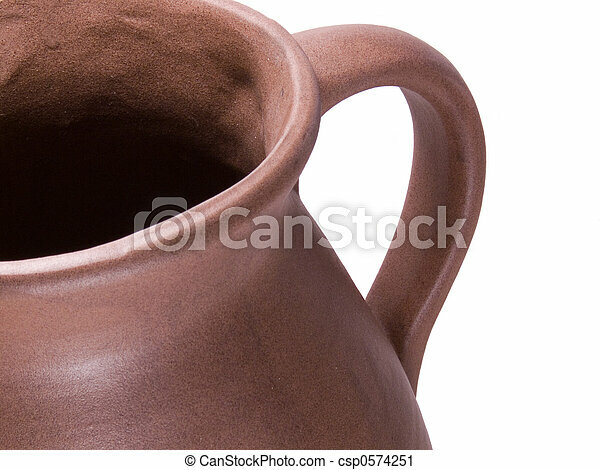 Detail view of clay water jug showing handle and opening at top. 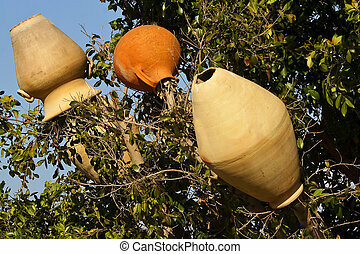 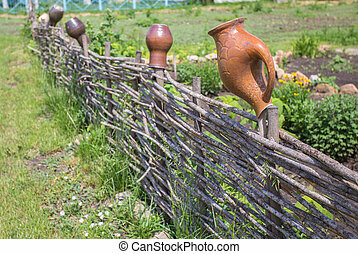 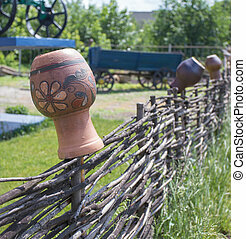 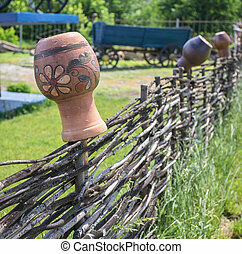 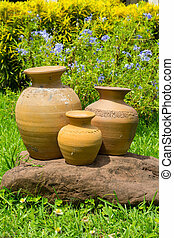 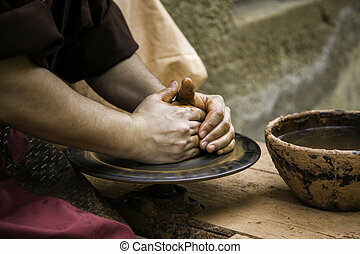 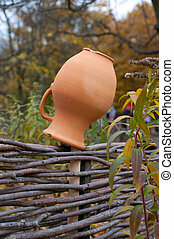 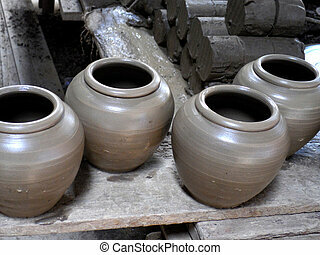 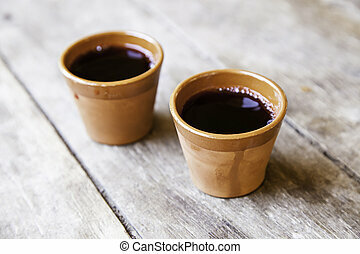 Clay jug on fence, a village tradition in Ukraine.